Support from the community is vital to the exhibitions and programming which we provide to the sculpture community here in Texas. 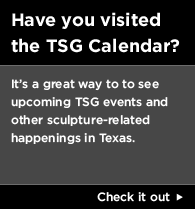 We currently have just over 100 members made up of sculptors, galleries, curators and arts enthusiasts who make TSG a thriving community and would invite you to join us in support of the Arts in Texas. 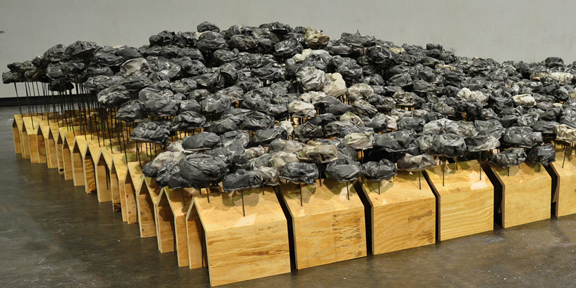 The Texas Sculpture Group is a nonprofit 501(c)(3) organization. 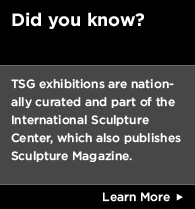 Every contribution to the Texas Sculpture Group is tax deductible. Donors will be provided with a receipt for tax purposes. For more information, please contact the Texas Sculpture Group at txsculpturegroup@gmail.com.